For the first 2 million years or so of human history, bacterial infections  pneumonia, scarlet fever, syphilis, festering wounds  were often tantamount to a death sentence. 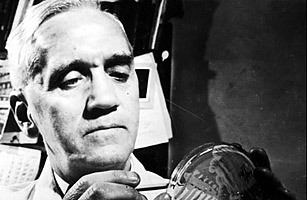 But one London morning, humanity got a dramatic reprieve when a Scottish researcher named Alexander Fleming happened to glance at some Petri dishes about to be sterilized for reuse and said, "That's funny." Fleming, who had seen the horrors of infection during World War I, was searching for a safe, powerful antibiotic. So far, he had found only a weak one, called lysozyme, extracted from body fluids. But when he looked at the dishes, Fleming noticed that the bacterial cultures within were dying off. The killer: "mold juice," as he called it, the product of spores that had probably wafted in from a lab downstairs. Fleming determined that the spores were Penicillium notatum and renamed the juice penicillin. However, it was a decade before other scientists took notice of Fleming's work, purified penicillin and turned it into a miracle drug.